This week I’m starting the Whole 30 plan/regimen/lifestyle-change. I’ve been gathering supplies, and I made an organized Whole 30 meal plan. While I’m seriously hoping that I’ll lose weight, I’m counting on figuring out if I have some kind of a food allergy that’s causing my rosacea. 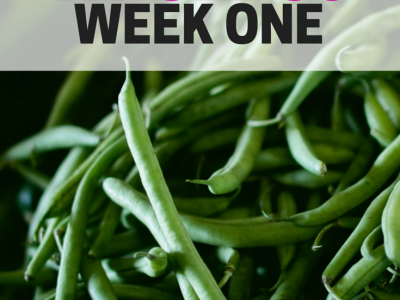 Anyway… Today, I’m sharing my meal plan for the first week. 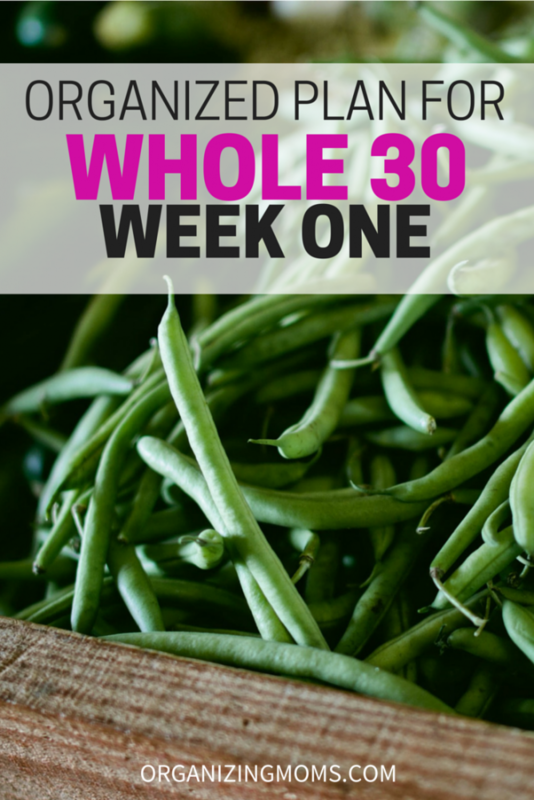 Even if you’re not doing the Whole 30, perhaps this will give you some good meal ideas. Monday – Baked salmon, broccoli slaw, avocado. Tuesday – Grass-fed angus burger patty (from Trader Joe’s), baked fingerling potatoes, broccoli, avocado. Wednesday – Baked tilapia, roasted brussel sprouts, avocado. Thursday – Hot dogs (I bought Whole-30 compliant ones), sweet potato, avocado. Friday – Buffalo burger patty, baked butternut squash, avocado. Strategy for dinner: The veggie portions will be enormous. An avocado will always be an option because they are glorious, and allowed. If needed, I will also make a salad. Ah, I won’t play…there will always be a salad. I think I’m going to be starving! Coffee, maybe with coconut milk in it, maybe black. This will be a change for me, because I usually don’t eat much for breakfast besides the things that my kids don’t finish, and maybe a hard-boiled egg. This will be pretty much the same each day, but the seasonings will be different. Again, mass quantities of food will be piled onto the plate. This will not be a dainty, bird-like lunch. This is where the true planning and preparation came in. If it’s 4:30, it’s almost guaranteed that I’m somewhere eating chips, crackers, or cookies. I had to prepare for battle. Here are some things that I will have to make ahead to make sure that there are good snacks available. Cucumbers, sliced peppers with guacamole. 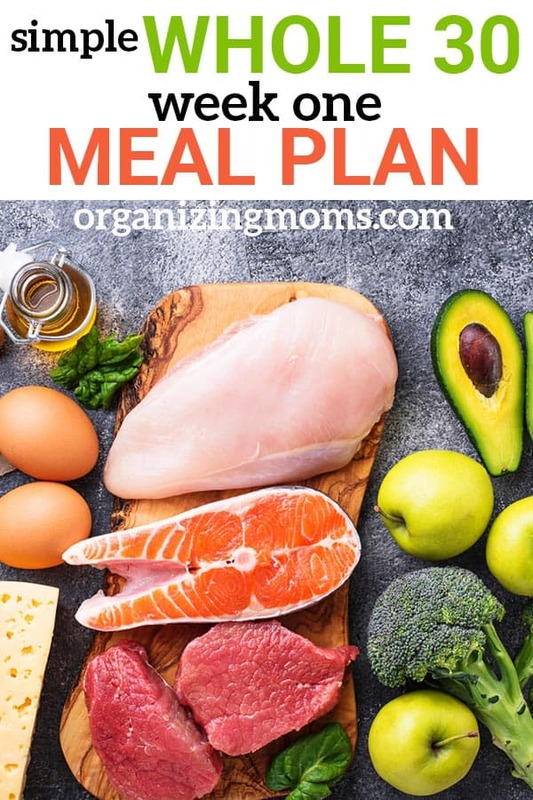 My goal is to follow this meal plan for the first five days, and then see what I have a craving for when I plan things for the weekend and next week. I’ve been getting a ton of ideas from Jenny Ingram’s TheWholeAvocado Instagram page. While I would love to go on and on about everything involved in the Whole 30, I will restrain myself. Because you’re here to read about organizing, right? So, tomorrow it’s back to regularly-scheduled organizing goodies. 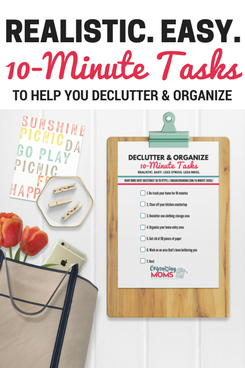 If, by chance, you would like to go on and on about organizing, you should join the Organizing Moms Facebook group. You will be able to find your peeps there, ya know?